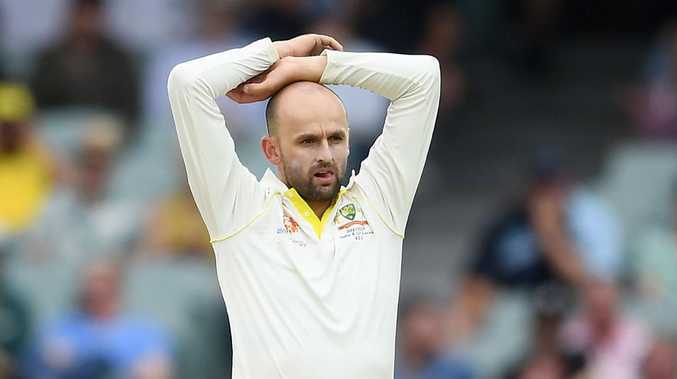 THE Decision Review System (DRS) continues to haunt Nathan Lyon and Australia at Adelaide Oval, where Nigel Llong has made another umpiring blunder in the first Test against India. Lyon was foiled again when Llong gave Ajinkya Rahane out caught at bat-pad for 17 early on day four, only for the decision to be overturned on review. Replays showed the ball struck Rahane's front pad outside the line of off stump and missed both bat and gloves by a long way. The reversal was a dagger in the heart for Australia as Rahane and Cheteshwar Pujara pushed India's lead beyond 200 runs. It is the third time in the match India have correctly reviewed a Lyon wicket with Englishman Llong responsible for each of the initial misjudgements. First-innings centurion Pujara, who passed 50 again early on day four, was twice given out to Lyon on Saturday but had both dismissals overturned. Pujara was given out caught behind on eight but the Hotspot technology showed no contact with bat or gloves. 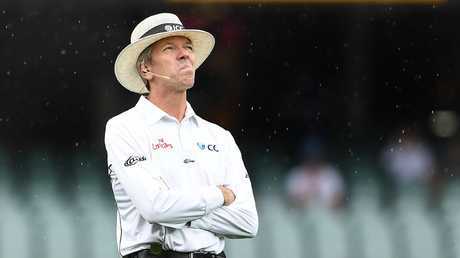 Llong also gave Usman Khawaja not out on Friday only for the decision to be overturned, while India later used the DRS to confirm Pat Cummins' dismissal. India refused to play under the DRS for almost a decade after its 2008 introduction to Test cricket - after a series against Sri Lanka, they deemed DRS to be unreliable. But with Dhoni's departure as leader, his replacement as skipper Virat Kohli softened India's hardline stance and accepted the DRS from 2016.